Home / Portfolio / Kansas City, Here I Come! 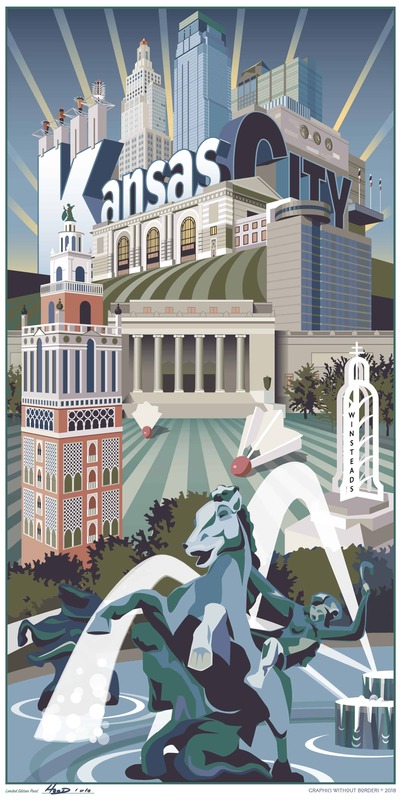 Some of KC’s best-know landmarks come together in this intricately detailed and creatively composed travel poster. The customer who commissioned this piece gave me a list of more than 10 landmarks she would like to see included in some kind of Kansas City poster, stretching from one end of town to the other. Including them all resulted in this fanciful composition that includes the city name as part of the cityscape.